An attractively deep red ruby is the heartbeat of this stunning ring. 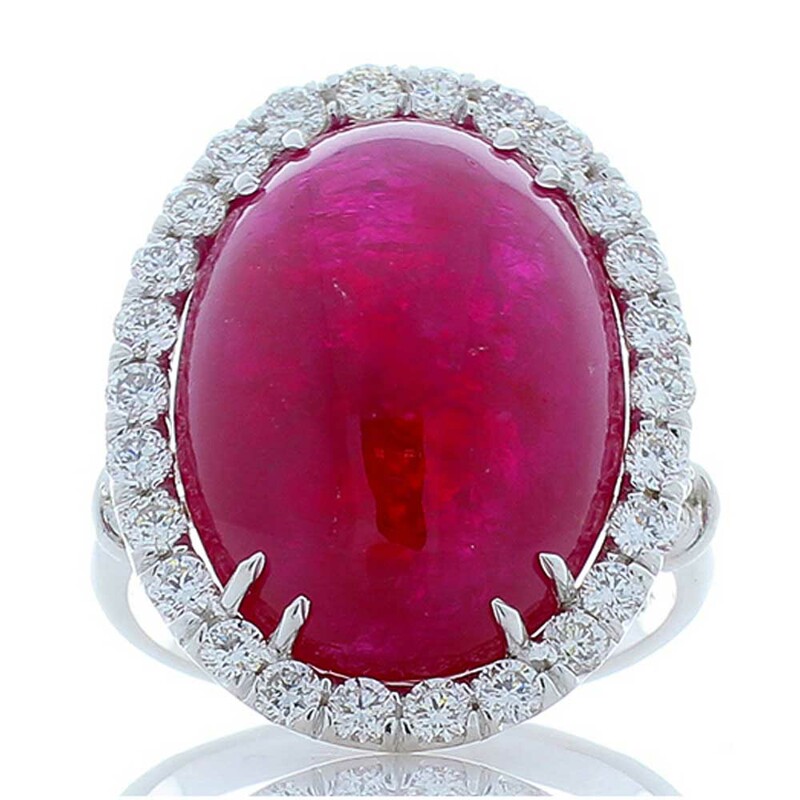 This cabochon ruby is an incredible 24.25 carat � 19.02 x 14.05 millimeter. This gem was sourced from Thailand. Its color is vivid purplish red. The color distribution is evenly through the gem. The ruby is surrounded by a halo of beautiful twinkling 1.30 carat total diamonds. The diamonds are G color and VS-SI clarity. The gemstones are securely set into polished 18 Karat white gold. If you want a ring that has coverage on your finger, this is it!